OPPO has a wide variety of smartphones that you can choose from. 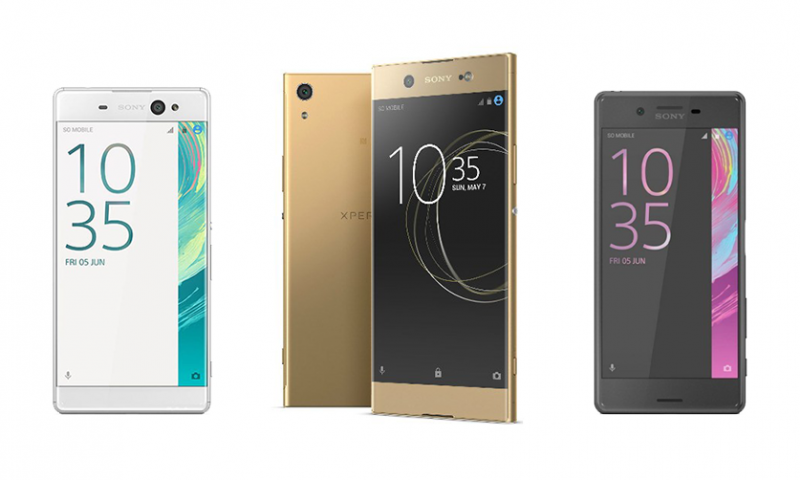 You get phones at every price point and in whatever specs you desire. This creates a kind of dilemma in the buyer's mind. Every OPPO smartphone looks very decent on paper, but its really difficult to differentiate whether the phone actually does well in the real world. My pick among the aforementioned smartphones would be the Oppo A83, because for a price less than 25 thousand, you are getting a lot. An Helio P23 chipset and 3 Gigabytes of RAM is a pretty powerful setup so I am going for the A83. I would have probably gone for OPPO F3 Plus but you can get a similarly specced Coolpad Cool Play 6 for a lot less. Telecell Nepal Pvt. Ltd. is the official distributor of OPPO phones in Nepal and it has been doing whatever it takes to make OPPO one the most reputed brands in Nepal. Be it sponsoring Nepal’s largest music competition or putting up humongous flex all around the city, OPPO has done it all. So, we have compiled a list of OPPO mobiles price in Nepal with the intent of giving you a better insight into them. The following list contains all the OPPO camera phones in Nepal. To give you better information about OPPO, we also have included a list of OPPO service centers and OPPO call centers in Nepal. 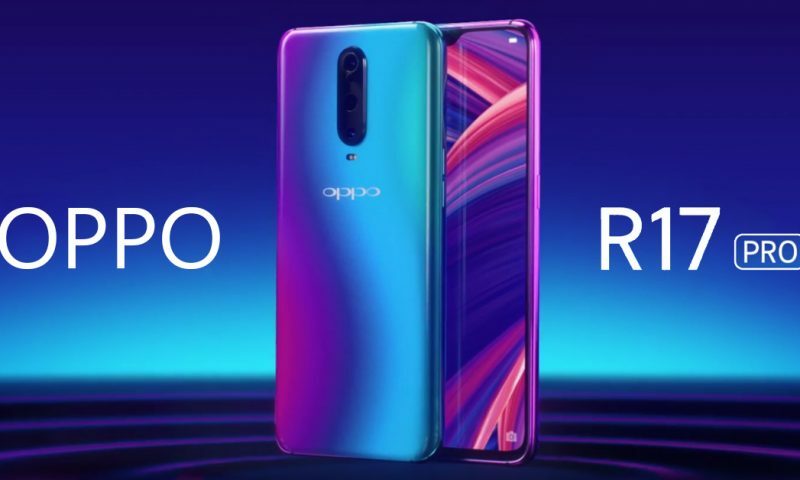 Oppo R17 Pro has a 6.4-inch FHD+ AMOLED screen that gives you deep blacks and punchy colors. The teardrop notch adds to the pleasing and unique aesthetic of the phone as well. Within the notch is confined a 25MP f/2.0 selfie shooter. The 8GB RAM and 128GB storage will set any spec-lover’s heart racing. Snapdragon 710 will absolutely kill at normal tasks and the 8GB RAM will be a beast when it comes to multitasking. But, the gaming performance won’t be as intense as that of the Snapdragon 800 series. At the back, there are 3 vertically stacked camera sensors. The middle one is the main 12MP f/1.5, 2.4 variable aperture shooter. The topmost one is a 20MP depth sensor camera. And the rather odd-looking bottom unit is a 3D TOF (Time of Flight) Stereo sensor. But, with all things said, the price of this phone is just ridiculous. Fast fast charging Snapdragon 710 for this price; seriously? Oppo A7, on the outside, looks very similar to the Oppo F9. 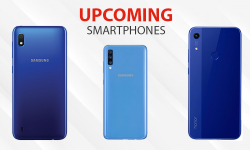 That’s understandable as the teardrop notch has become quite famous among smartphone buyers. Oppo also degrades the excellent FHD+ 6.3 inches LTPS LCD display to an HD+ display. This lower-res display is a huge shocker considering the price. The design at the back now is matte and the color scheme is better than before IMO. There is the no shiny geometric pattern at the back. On the inside, the A7 uses Qualcomm Snapdragon 450 which is not as powerful as the MediaTek Helio P60 processor used in the F9. Also, there is only a 4GB variant available. That is totally fine for a midrange phone though, as Snapdragon 450 is a capable chipset that can give you a smooth performance in normal tasks. Just don’t expect to play PUBG with the same smoothness as the F9. Also, the base storage is just 32GB. But, for 33k, you can buy phones like the Huawei Y9 2019, or for a little more, you can buy the Oppo F9. These are far more capable phones than the A7. No sane person would think of buying the A7 over those options. The major marketing material for the F9 has been VOOC flash charging capability which, Oppo says, gives the phone 2 hrs of talk time when charged for 5 min. Obviously, Oppo being Oppo, the cameras are one of the headlining features. There is a 25 MP selfie camera behind that tiny notch which takes sharp and detailed selfies. There are dual rear cameras on the back that have features like artistic portrait mode which lets you apply several filters like film light and tonal light to give distinctive effects to your photos. Another cool feature is that google lens is built into the camera software. The MediaTek Helio P60 is a mid-range processor so normal day-to-day tasks will fly on this device. It may struggle a little with gaming as expected. The 6GB or 4GB RAM means great multitasking performance, and the 128GB internal storage is more than enough for all the games and photos you may want to click. The Oppo A3s looks good for a phone under 20K. The 19:9 aspect ratio screen and the minimal bezels all make the phone look like it is more expensive than its price suggests. And love it or hate it, there’s a notch. Inside, the A3s is powered by the Qualcomm Snapdragon 450 which is an entry-level chipset from Qualcomm. This processor works in tandem with the Adreno 506. Apps like Facebook and YouTube will run smoothly but the multitasking experience may suffer from 2GB RAM. As for the internal storage, you’ll have to buy an external storage card the day you buy the phone. The A3s has a dual 12MP + 2MP primary camera setup. Looking at past cameras from Oppo, it will click decent photos in good lighting conditions. Oppo made its name by marketing itself as the phone for selfie fanatics and we hope to get a good shot out of the 8MP front camera of the A3s. 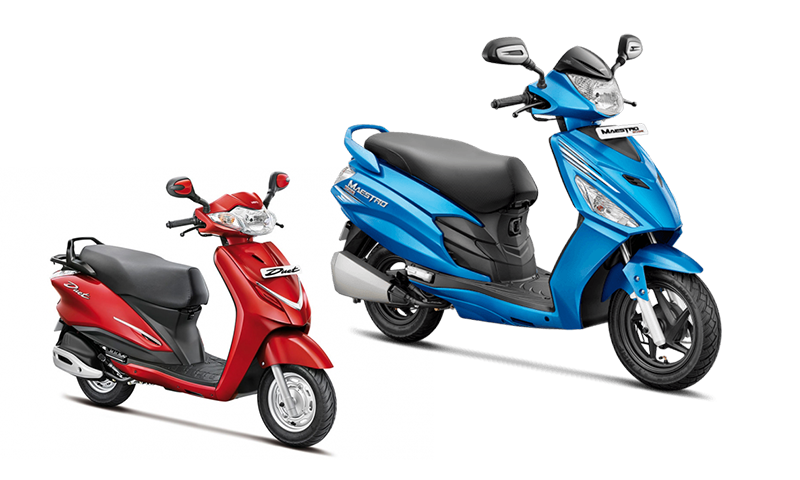 And you might get one as the AI 2.0 software found on the F7 and the F7 Youth make its way here. For the price, you’ll probably be satisfied with these cameras. But be sure to check it out before you buy the phone. The one thing people might not like about this phone is the lack of a fingerprint sensor. 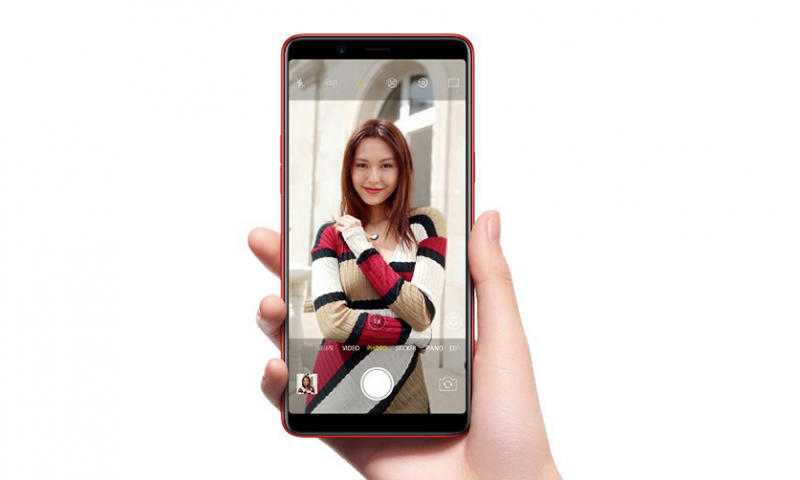 But even if OPPO has provided the youths with ample storage to store selfies, it will be taking away the 25MP selfie shooter found on the OPPO F7 and replacing it with 8MP one on the F7 Youth. But don’t worry because though OPPO has shaved some corners in the hardware department of the camera, it is softening the blow in the software department by using AI beauty 2.0 technology(whatever that means) as found in the original F7. The primary camera also has been pared down to 13MP but it is a small reduction. The toning down of cameras are understandable because the F7 youth has a lower price. OPPO F7 comes with Helio P60, which is a pretty powerful chip. And this combined with 4 or 6 Gigs of RAM is not a joke. The basic day to day tasks such as going through the social media and surfing the web will fly through this device. You might experience some hitches when you are playing games such as Asphalt 8 and PUBG but it is not going to struggle in lighter titles at all. As for cameras, they are, yet again, INSANE. The 16 Megapixel rear camera is fairly mainstream at this point, but when it comes to the front camera, it is a complete insanity; 25 freaking megapixels. For all the selfie lovers out there, this can really be a boon. Most cameras in the market don’t have sharp enough front camera, but 25 megapixel is, well, probably the most amount of pixels you can cram in a front camera. However, megapixels don’t define the image quality. Oppo F5 Youth comes with a 6.00-inch touchscreen display with a resolution of 1080 pixels by 2160 pixels,which is an 18:9 aspect ratio screen. It is powered by octa-core MediaTek MT6763T Helio P23 processor and comes with 3GB of RAM which gives you pretty decent performance, while it might lag behind in some areas. The phone packs 32GB of internal storage that can be expanded up to 256GB via a microSD card which is a bonus. As far as the cameras are concerned, the Oppo F5 Youth packs a 13-megapixel primary camera on the rear and a 16-megapixel front shooter for better selfies. It runs ColorOS 3.2, based on Android 7.1 and is powered by a 3200mAh nonremovable battery which is going to give you surprisingly decent battery life. OPPO F5, well it is one of the most expensive ones out of the bunch so it’s typical for people to expect a lot out of this device. Mind you, a combination of an Helio P23 Processor paired with either 4 or 6 Gigabytes of RAM is not a joke. On top of that, you get a decent sized battery that will last you for at least a full day. Obviously, this is an OPPO phone, so the front camera is always outrageous and is surprisingly decent. Moreover, the rear camera is also a 16 Megapixel f/1.8 sensor. OPPO F5 is counted as one of the best phones with a great camera and well obviously specs too. The display is an IPS panel which is a 1080p screen. It looks pretty sharp, but instead of the IPS panel, an AMOLED screen would have been nice. In addition, the screen is an 18:9 aspect ratio display which is always a bonus. We arrive at the “priciest” one among the Oppo mobiles in Nepal. It has a Snapdragon 653 processor, and 4 Gigabytes of RAM. Well, I was disappointed when I saw this because, in a smartphone that costs over 50 grand, I expected a more powerful processor: somewhat like the Snapdragon 835 or so. However, on a bright side, the Snapdragon 653 is an efficient chip, so this paired with a giant 4000 mAh battery is going to give you a looooooong battery life. As always, if you take a lot of photos, go get OPPO F3 Plus. The picture quality might not compare to smartphones from Apple and Samsung but is certainly up there. The screen is a little bit unappealing because of the fat bezels, but on a bright side, you get a fingerprint sensor in the front of this device and a freaking dual front camera setup. A miniature version of its older brother, the OPPO F3 Plus, this phone inherits a similar build from the bigger one. It comes with a 5.5 inch 1080p Super AMOLED display that is powered by an Octa-Core processor and 4 Gigabytes of RAM. OPPO is kind of weird with its processor selection because no one has any idea what OPPO is going to do. The OPPO F3 is equipped with a MediaTek processor which may or may not be good. Again, the camera on this device, as always, is “great”. On paper, the cameras look insane. But we are yet to see how it performs in the real world. Well, this is one of those “camera phones” as OPPO advertises. This is one of the best mid-range smartphones you can find in Nepal. For a sub 25 thousand price, you get a decent Octa-Core processor, 3 Gigabytes of RAM and well, an 18:9 aspect ratio display. However, this display is not the best thing in the world. OPPO A83 is a 720×1440 pixel display, which looks a little bit dull in a large 5.7-inch display. The downside to this device is that it does not have a fingerprint scanner. Like seriously OPPO? Even phone that costs 12 thousand has one. Again, we arrive at the camera. Well, it is not “great”, but it looks decent on paper. Well, we cannot really say how this looks unless we get a first-hand experience. But my guess is, it performs quite well. A camera with a 13 Megapixel Sensor should perform just fine. OPPO A57 is a relatively older device so, I would not exactly recommend buying this. However, if you are still considering buying this phone due to whatever reason, it’s actually not bad. For the time, it had great specs. A Snapdragon 435 and 3 Gigabytes of RAM pretty much got you through any workload two years ago. In spite of that, this phone might not hold up very well in today’s market. As far as the camera goes, this one too has a great camera, well at least on paper. A 13 Megapixel sensor on the back and a 16 Megapixel camera on the front sound good. The display is a 720p IPS LCD screen. As told earlier, this was great for the time but in today’s competitive market, it makes you go “Meehhh”. To be honest, this phone is kind of a doofus, well at least to buy now. There is already a smartphone in the same price range and there is no reason this phone should exist. *pun intended* Well, as mentioned earlier for OPPO A57, this too is an obsolete smartphone. It has an old processor and with it comes an older GPU. The RAM too is only 3 Gigabytes. So, there is no point in buying this smartphone. Well, however, if you are still considering this smartphone, OPPO F1S too has a great camera, on paper. A 13 Megapixel rear camera, a 16 Megapixel front camera is great. The display is a 720p, 5.5-inch IPS screen which is enclosed underneath a corning gorilla glass 4. Releasing a phone with less RAM than its predecessor is kind of a foolishness. Granted that OPPO A71 has a better processor, it is not going to be able to compensate for the less RAM and internal storage. 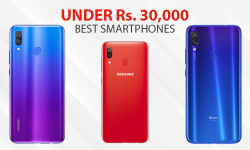 After all, they have just released the OPPO A83, in which you are getting a lot better specs for a couple of grand more. However, the specs are, a Snapdragon 450 Processor, 2 Gigabytes of RAM, a 5.2 inch IPS 720p panel and 16 gigabytes of internal storage. The camera is a 13 Megapixel sensor on the back and a 5 Megapixel sensor on the front. OPPO A37 too is an old smartphone. It came with a Snapdragon 410 processor and 2 Gigabytes of RAM. But given its price, the specs are pretty decent, even for today’s market. It has a 5-inch 720p IPS panel which is, again for the time, pretty decent. The display came underneath a corning gorilla glass 4. The camera on this device is an 8 Megapixel sensor on the back and a 5 Megapixel sensor on the front. Well, ehhhh. The Android version might be a dealbreaker for many people because it comes with an Android 5.1 Lollipop version which is relatively old UI and we are not sure if we are going to get updates. If you already own an OPPO phone and are searching for a service center, then following are some of the service centers. OPPO has a wide variety of smartphones that you can choose from. You get phones at every price point and in whatever specs you desire. This creates a kind of dilemma in the buyer’s mind. Every OPPO smartphone looks very decent on paper, but its really difficult to differentiate whether the phone actually does well in the real world.